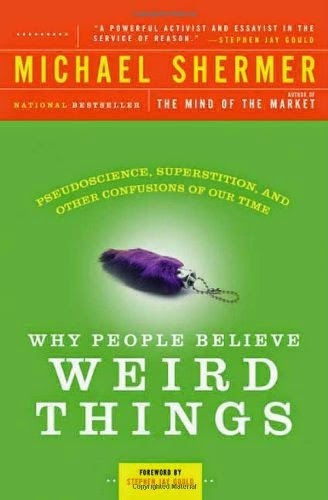 Michael Shermer’s Why People Believe Weird Things: Pseudoscience, Superstition, and Other Confusions of our Time is a fitting complement to our own lectures. On top of many of the specific subjects covered within the course, it also puts a spotlight on other pseudoscience-related topics, such as what it refers to as “pseudohistory”, or interpretations of historical events and the past in general that bear many of the same traits as a typical pseudoscientific claim. 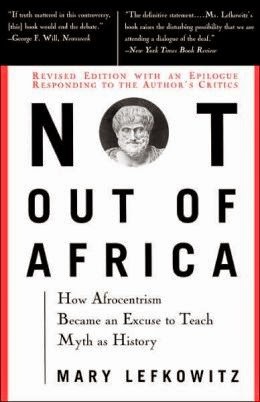 The book is excellent in its own right as well, well-written and entertaining, with a myriad of examples to illustrate its major points perfectly. The book is primarily, of course, all about answering the titular question. In order to do so, it discusses what scepticism really is, and why sceptics are an essential part of the overall scientific process. The differences between science and pseudoscience, history and pseudohistory are important topics, and the book makes excellent use of real-world examples to properly differentiate between them. Why and how subjects such as pseudoscience, pseudohistory, superstition and seemingly illogical or blind belief remain so prevalent in an age undoubtedly more full of aspiring scientists and more scientifically oriented than any before it. Ultimately it looks at why not only people in general believe in “weird” things, but why smart people, people who otherwise may be very knowledgeable and logical, continue to fall prey to such pseudoscientific thinking. My personal favourite part of the book is likely the section “The Most Precious Thing We Have” in the first chapter, which deals with distinguishing science and pseudoscience, history and pseudohistory, and delves in to the scientific methods involved in good science and accurate history. Though early on in the book, this section I feel complements our course the best. It highlights the stunning progress our society as a whole has made in the ways of technology, but also demonstrates a disturbing trend in paranormal and pseudoscientific beliefs even among adult men and women, both with fitting graphs and hard numbers.This section also contains the initial discussion of pseudohistory, and gives some very interesting examples of how very seemingly obvious and logical facts about the past can be misinterpreted or misconstrued based on personal bias or an agenda. Of course, it also discusses pseudoscience, but provides its own unique examples on top of some more familiar ones from our lectures. Most of all, however, I found its discussion of “Pirsig’s Paradox” and the differences between scientific laws and “ghosts”, as taken from Zen and the Art of the Motorcycle Maintenance, to be the most interesting. This particular paradox is about the internalist and externalist views on the progression of science, and how it relates to culture and the societies in which the science is developed. Why People Believe Weird Things ties in to a lot of the subjects discussed as part of our class lectures, but in particular, as one might guess from the title, it relates most to some of the initial themes in the course, the traits of pseudoscientific and paranormal propositions that make them so believable, at least on the surface, to many and the implications this can have for them, some of which may be more dangerous than we initially think. For example, Why People Believe Weird Things discusses the consequences of cult obsession or mass hysterias brought on in no small part by paranormal and false, pseudoscientific beliefs. The lectures point out as an example that settling for a pseudoscientific result that is in fact more likely a placebo effect, while not always immediately harmful, can become dangerous if the effect wears off over time or does not fully put a stop to a disease or other serious problem, but merely coincides with the regular "ups and downs" of many such conditions. from our lecture slide videos. We as humans are pattern recognisers, "thinking reeds", so much so that we find patterns where there are none, the result of simple evolutionary tendencies. Our continued belief in "weird" things, like pseudoscience, pseudohistory, and the paranormal, even in an age filled with scientific proof and discovery, is a direct consequence of this. By understanding why we believe in these things, we can take the first step towards subjecting them to the same rigorous scientific testing and analyses that we respect as part of the scientific process. Once we know that there is a logical reason that even highly intelligent people can be misguided in to believing in pseudoscience, that it isn't anything wrong with them as a human, it will become much easier to promote more rational thought in all aspects of life, and prevent these kinds of pseudoscientific belief from taking as much hold as they do. I believe the situation is hopeful: a few centuries ago, true science was the minority among society, and paranormal beliefs were far more prevalent. Today we continue to see an exponential growth in scientific fact and dedication to the logical scientific process. Scientific knowledge is cumulative and progressive, and books such as Michael Shermer's Why People Believe Weird Things help provide the stepping stones for tomorrow's scientific achievements by highlighting the successes, and pointing out the mistakes, of today.